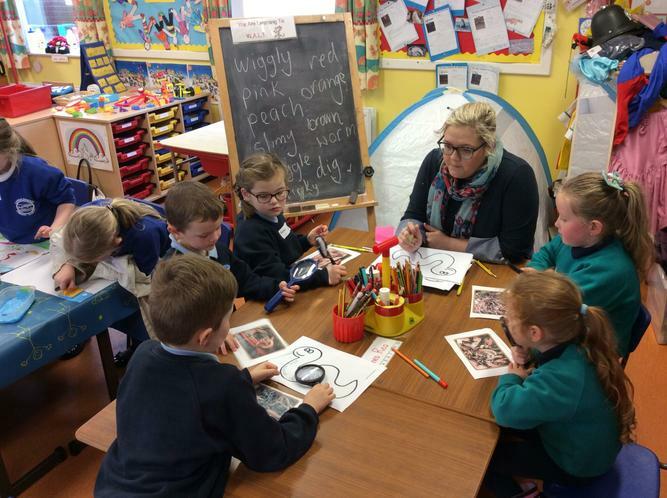 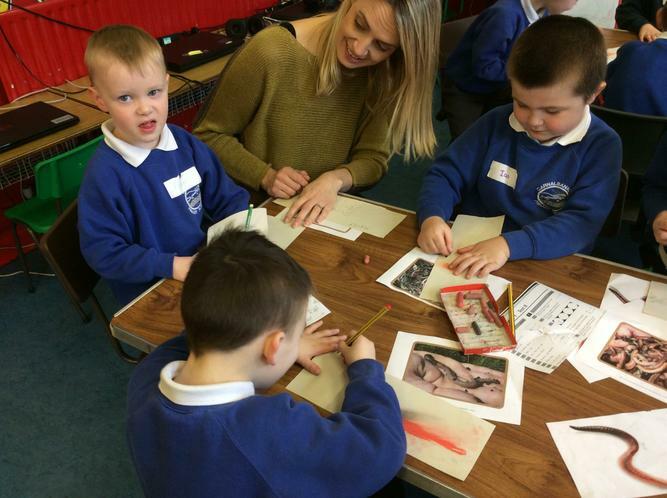 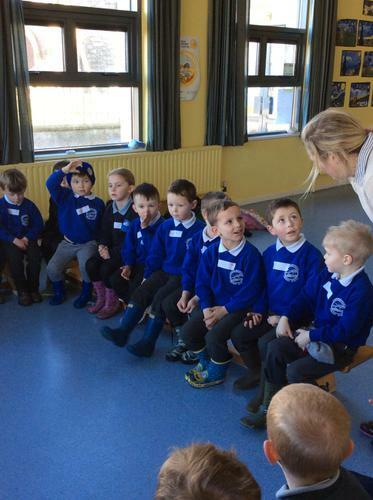 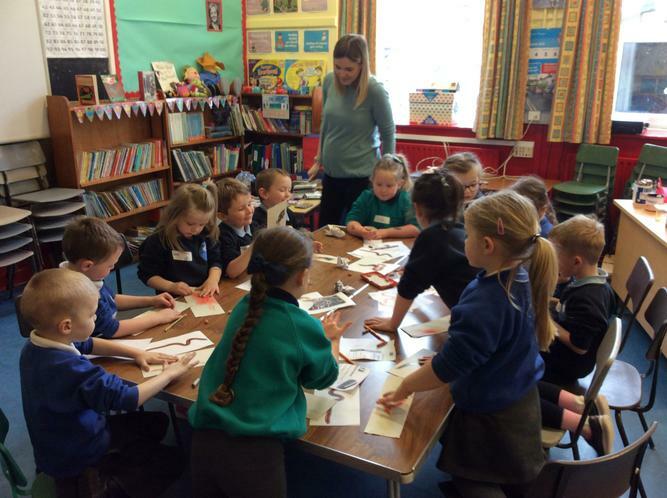 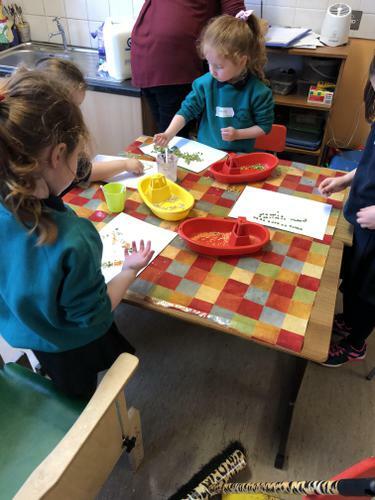 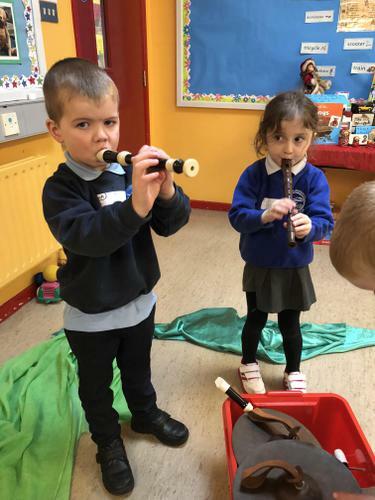 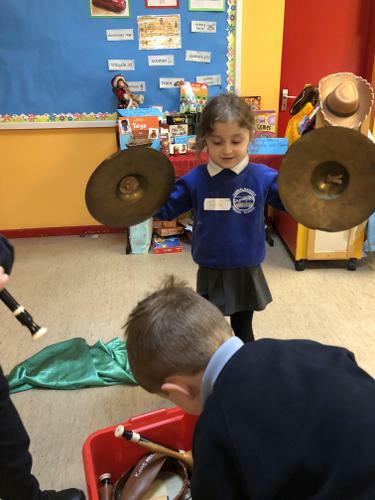 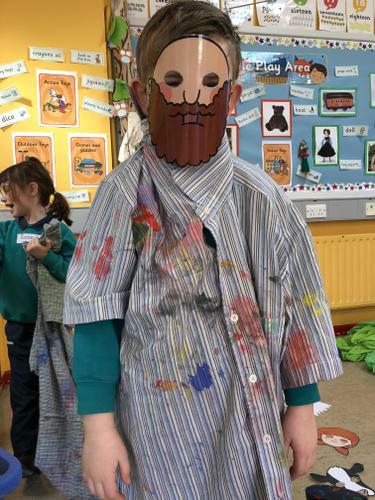 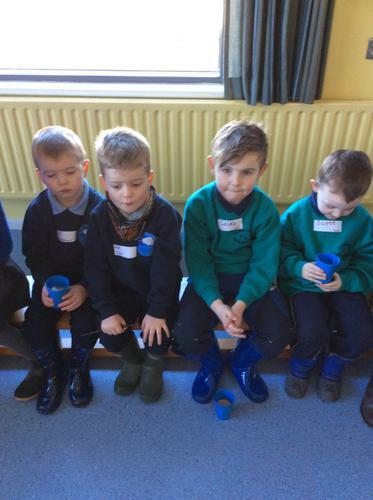 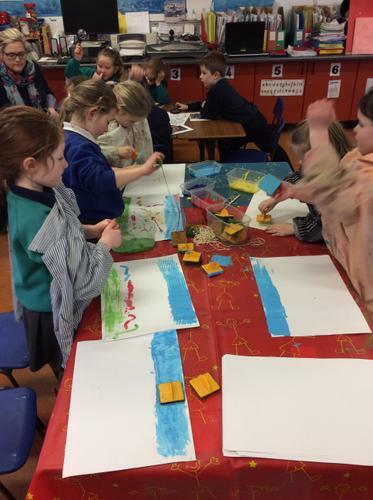 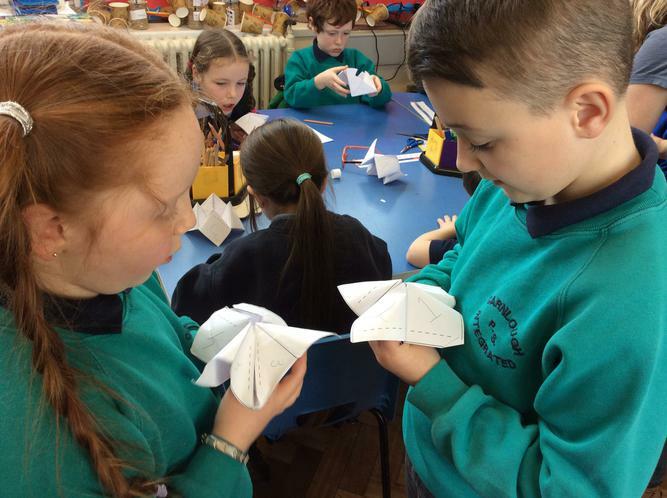 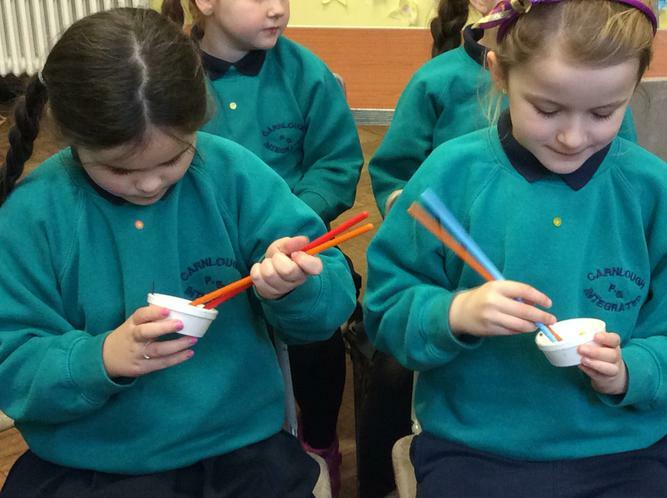 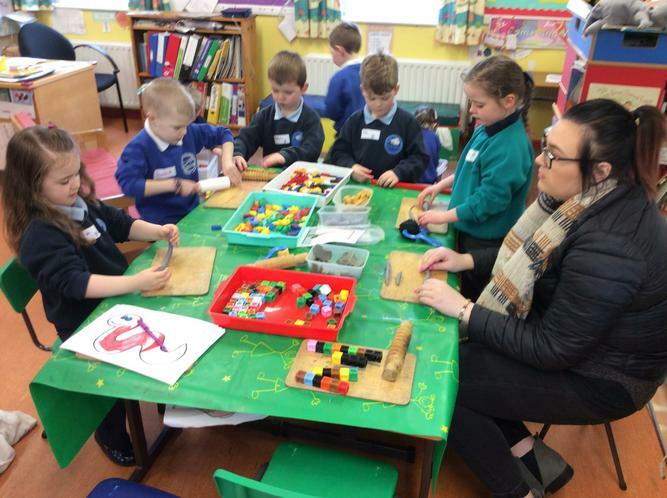 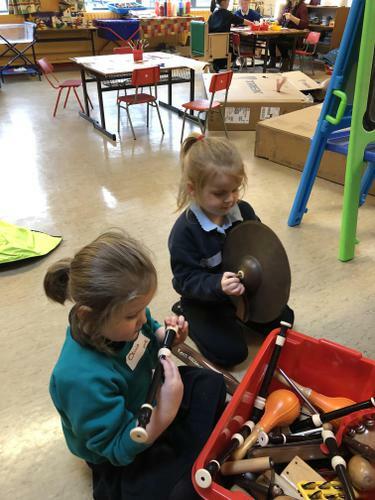 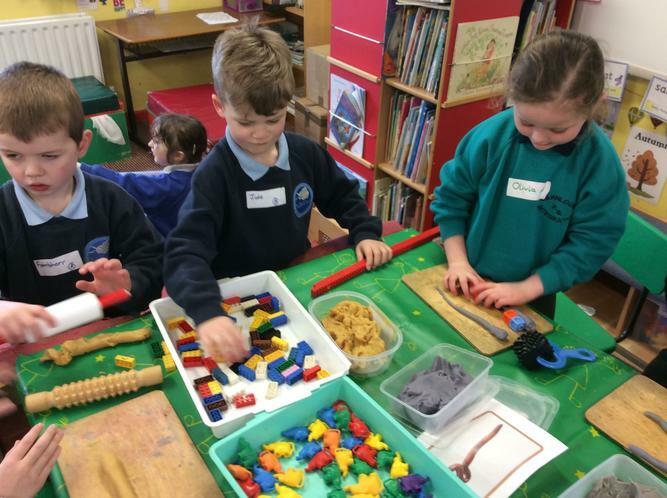 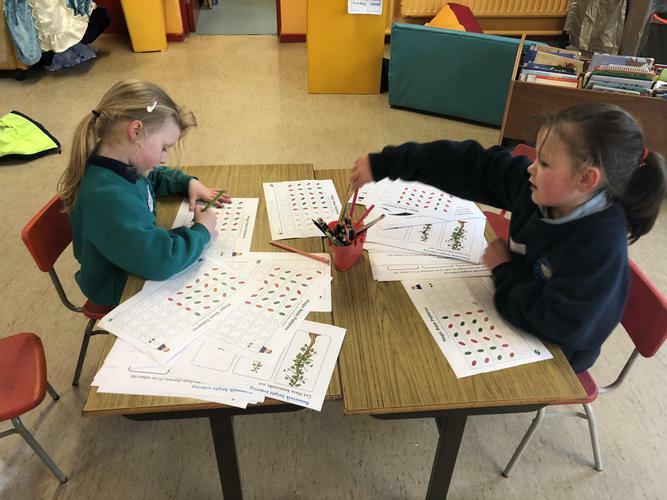 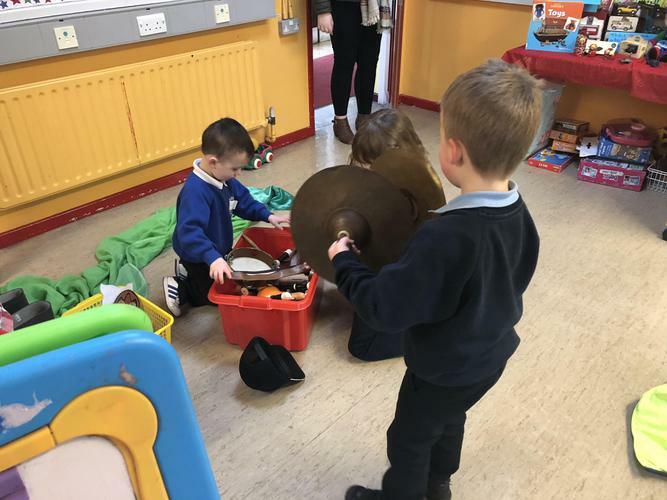 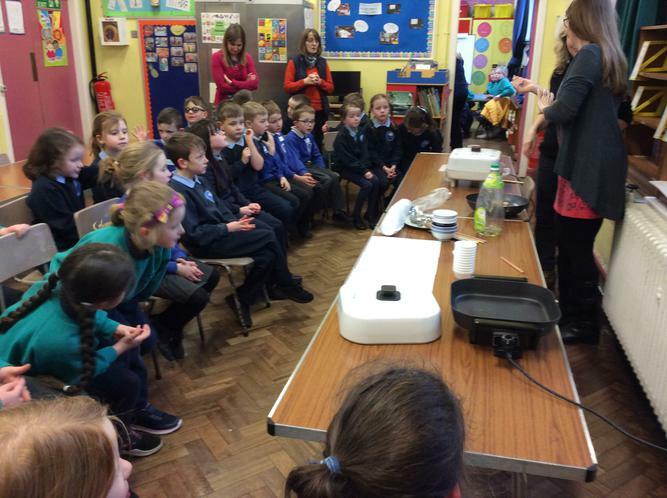 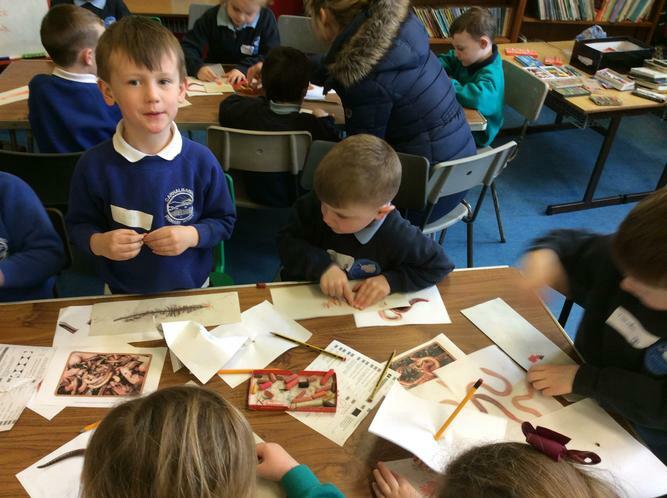 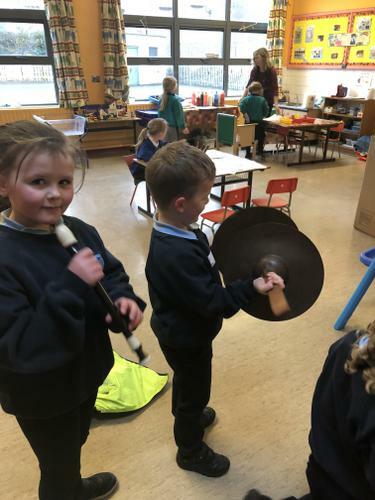 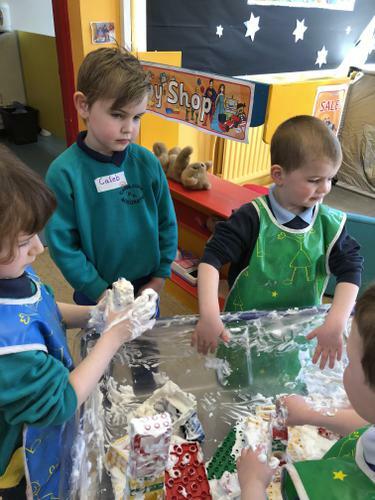 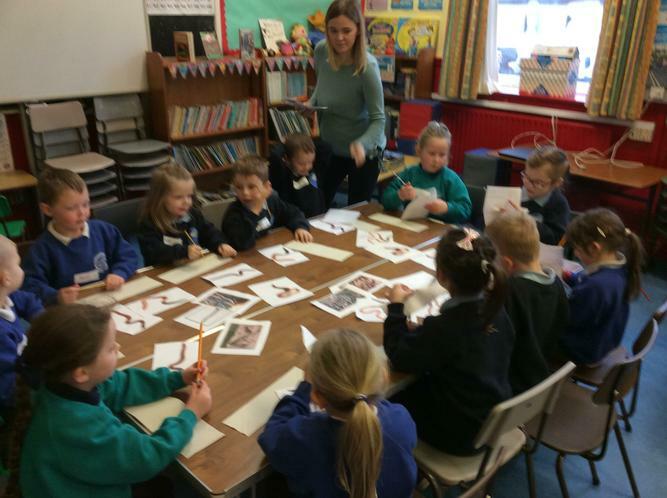 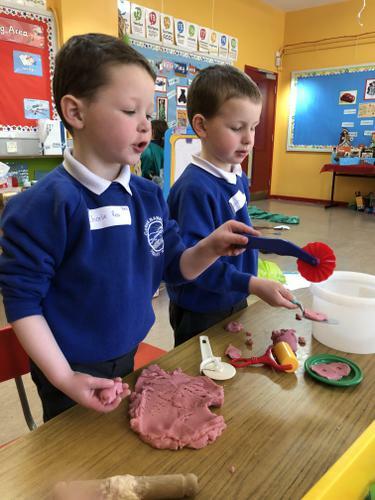 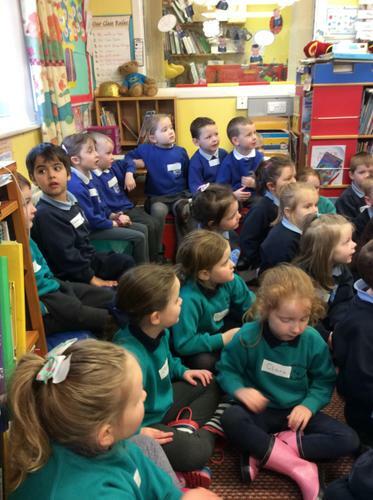 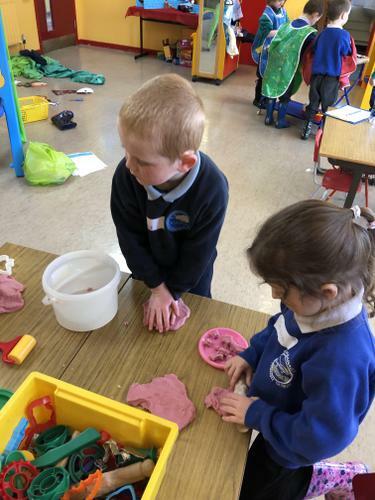 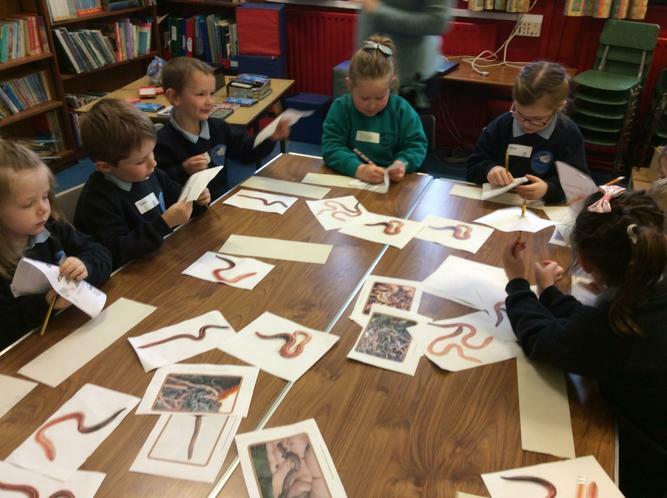 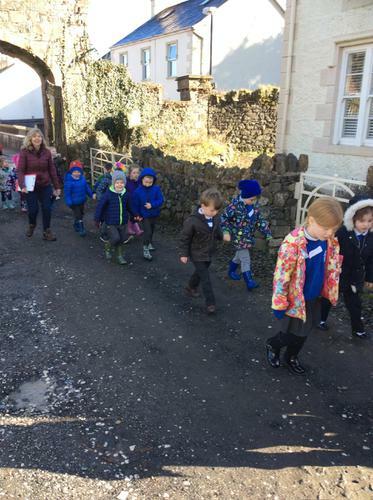 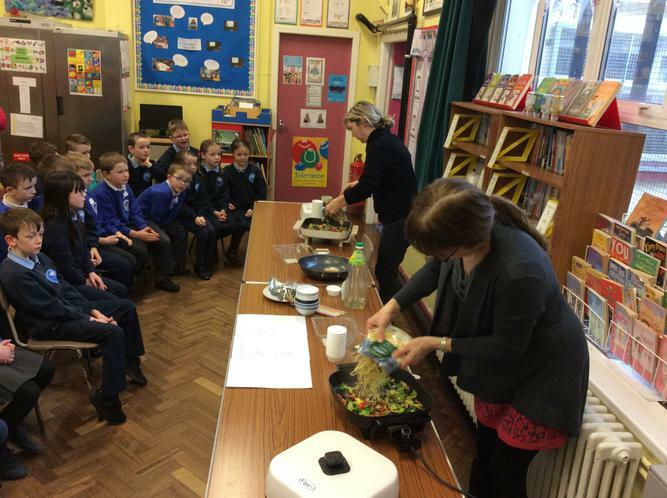 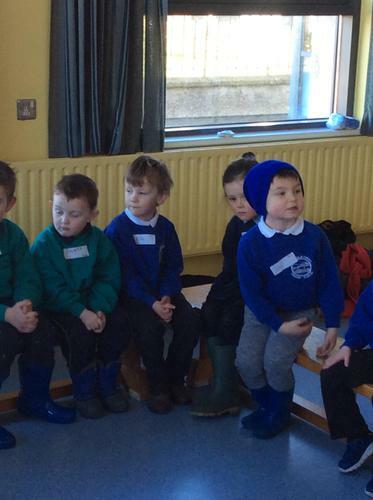 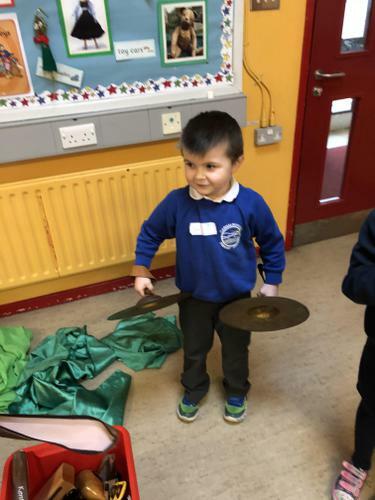 Primary 1 and 2 were so excited to welcome our friends from Carnlough Integrated and Seaview to our school on Friday. 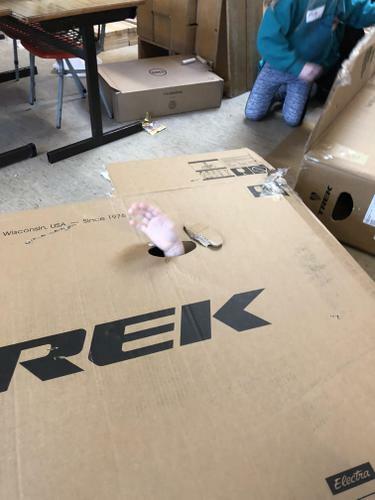 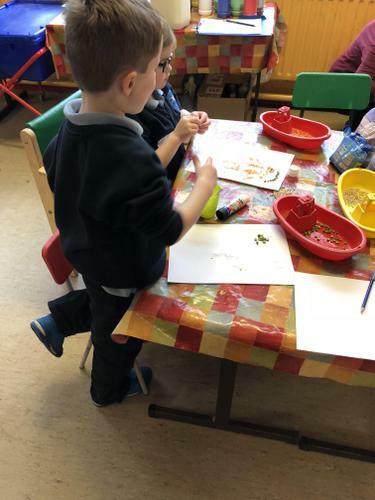 The weather let us down so our activities had to be moved inside. 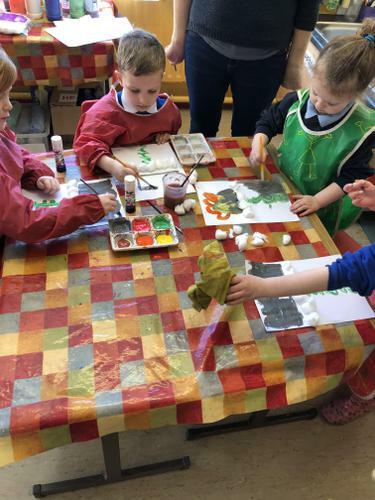 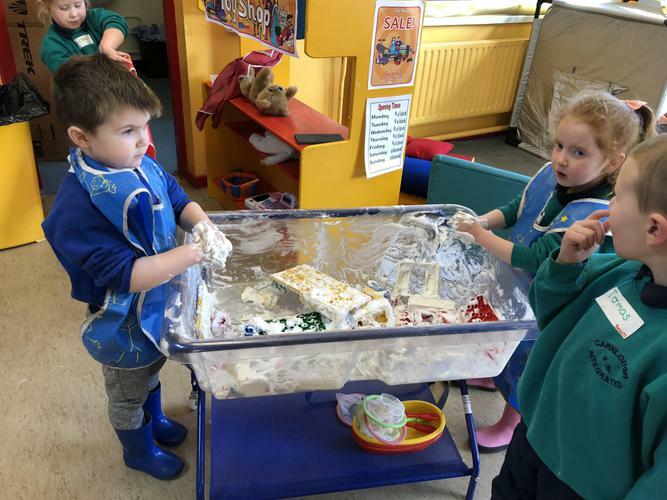 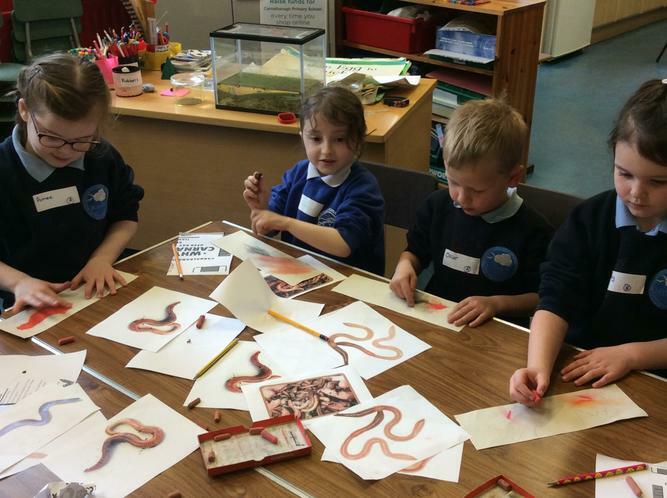 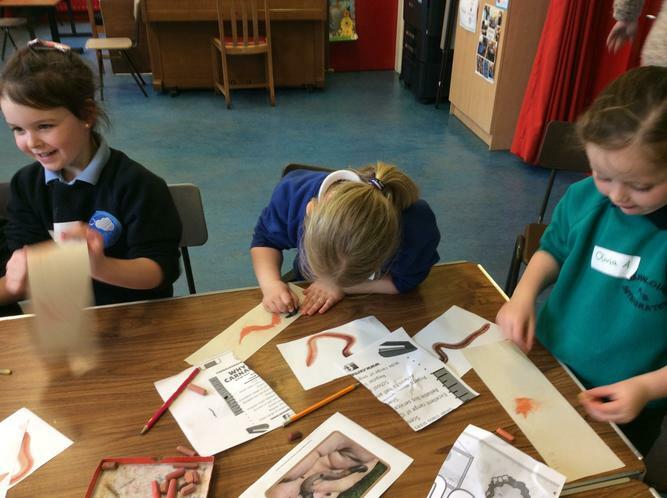 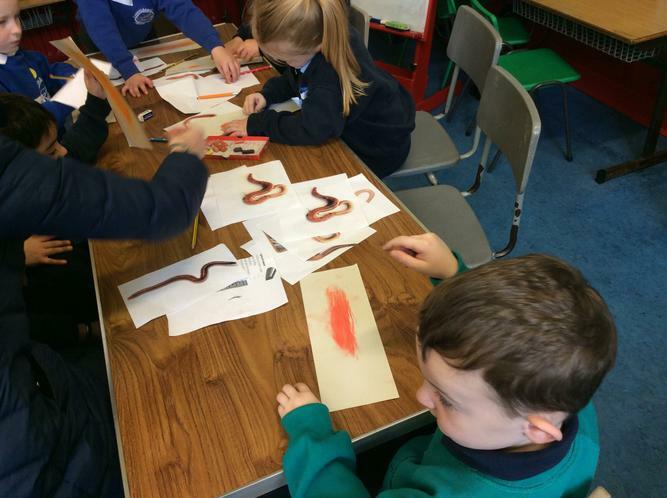 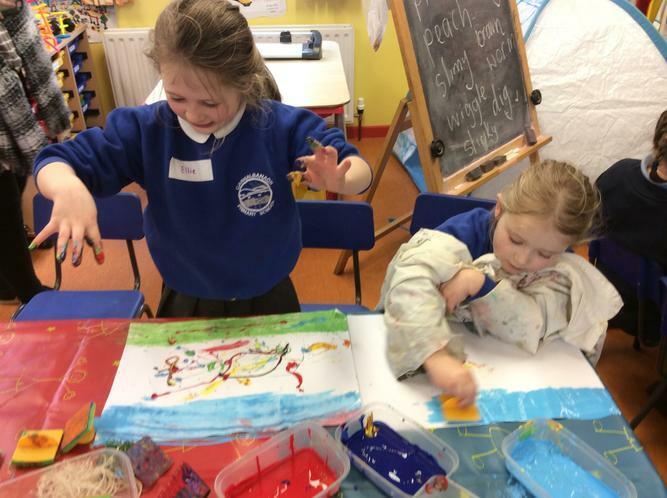 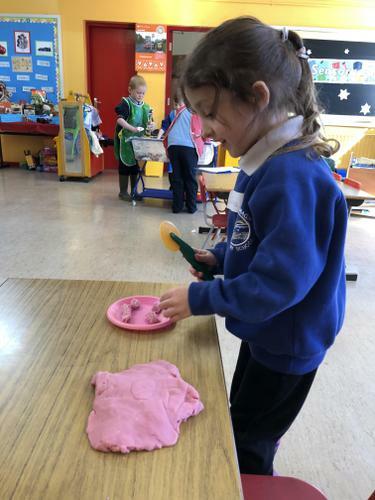 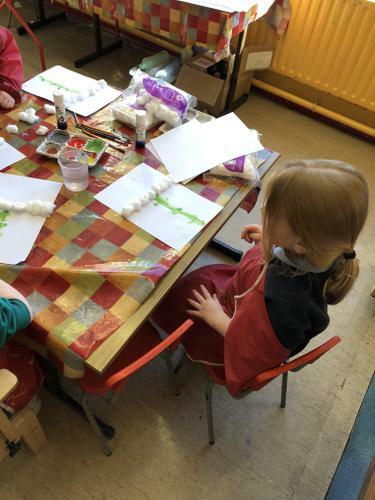 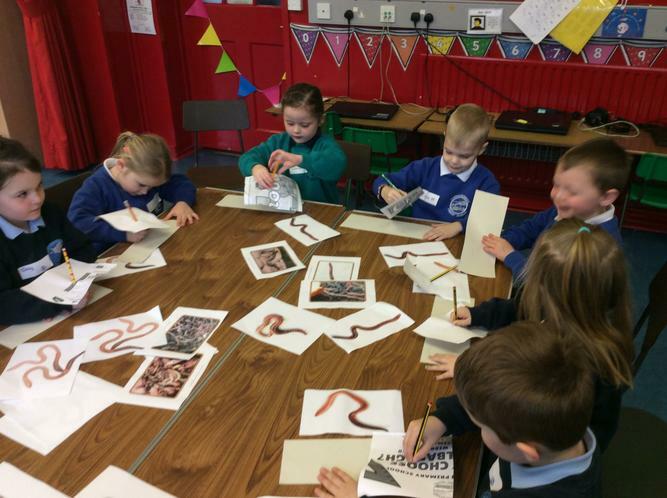 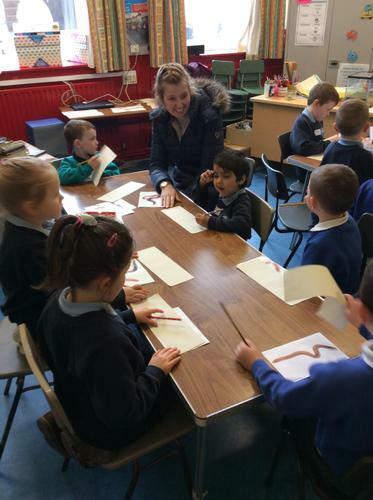 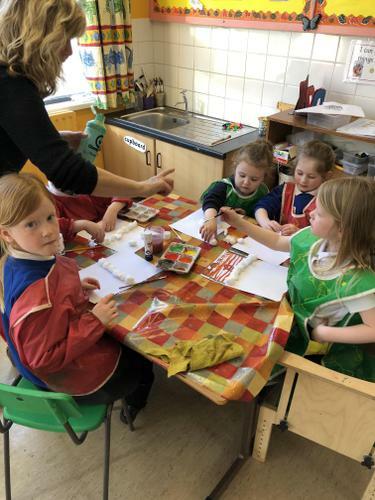 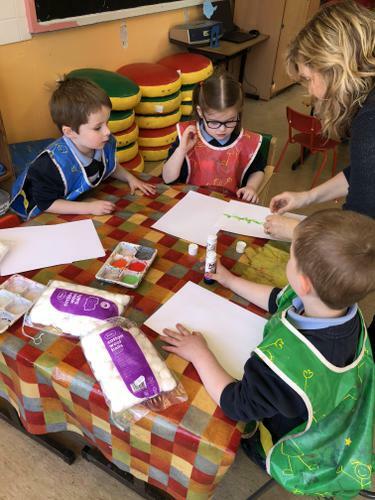 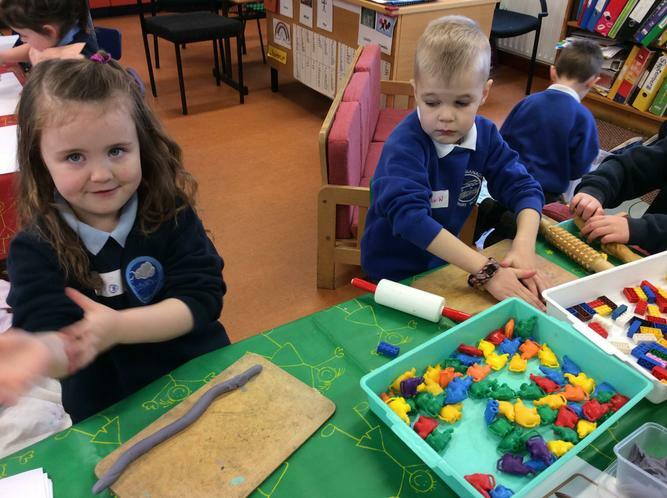 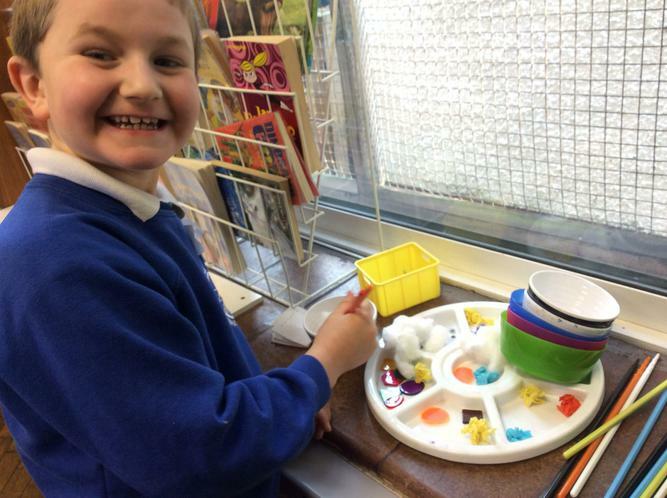 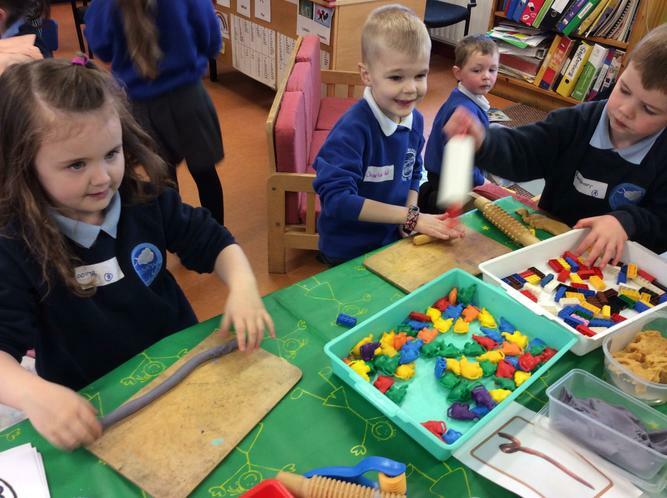 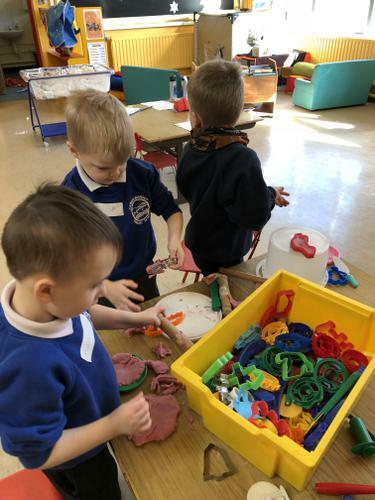 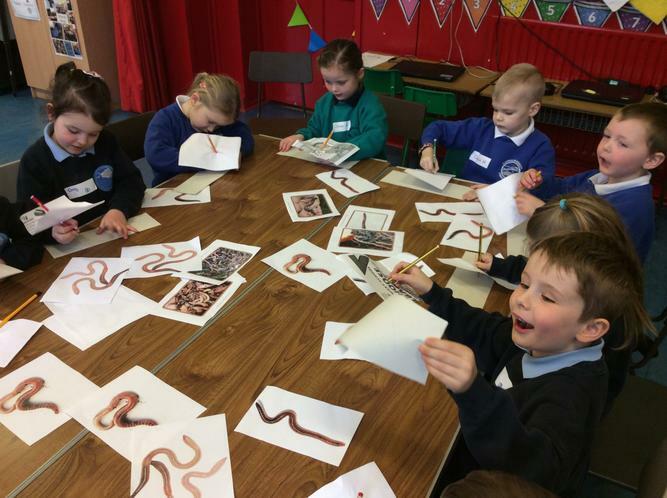 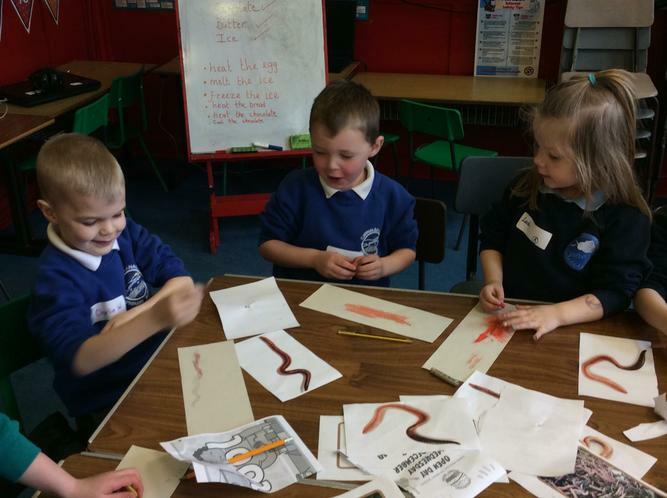 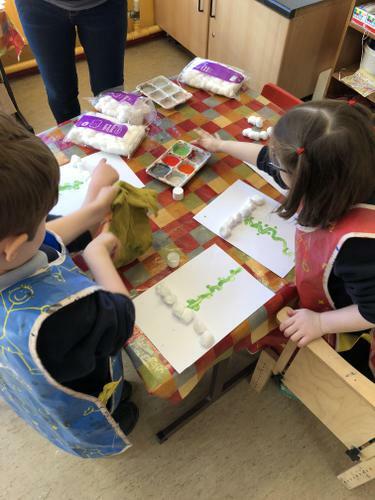 We still have lots of fun drawing worms without looking, painting, writing worm poems and making worms from playdough. 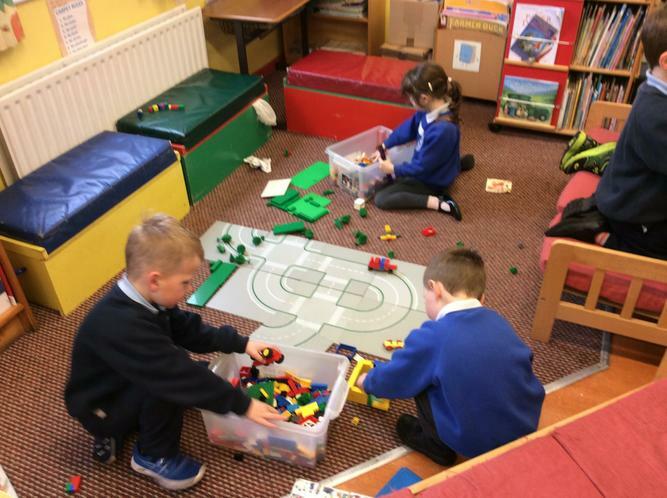 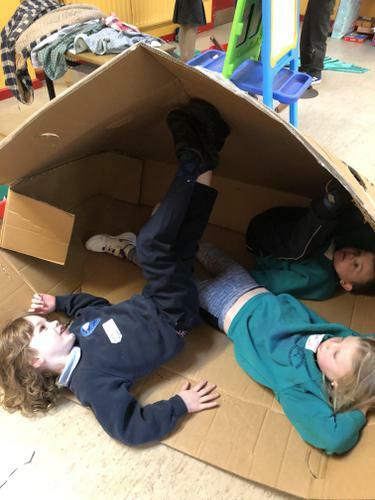 We all thoroughly enjoyed our break time together in the hall playing different games. 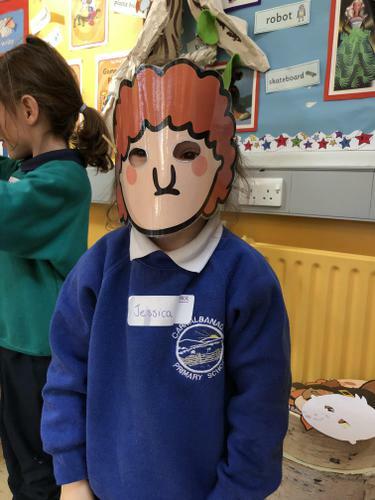 We can't wait for our next meet! 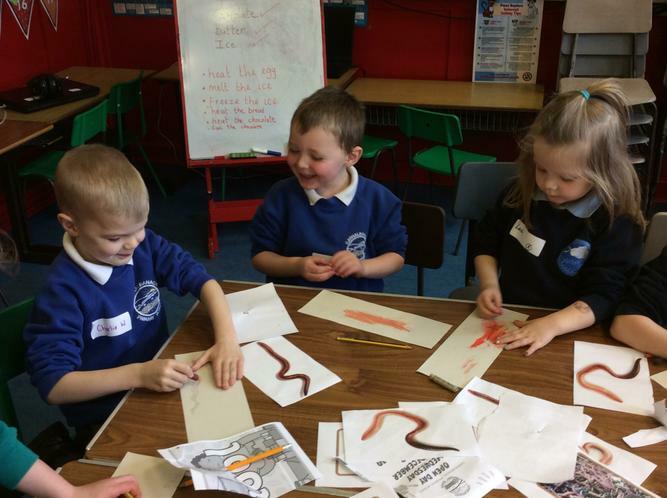 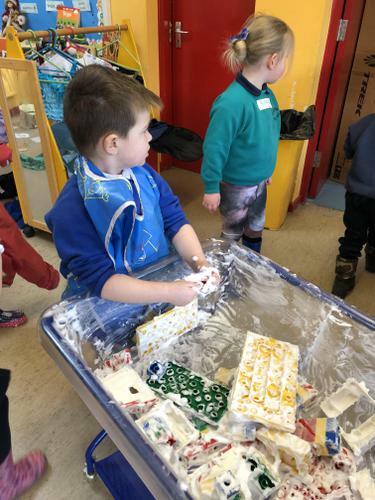 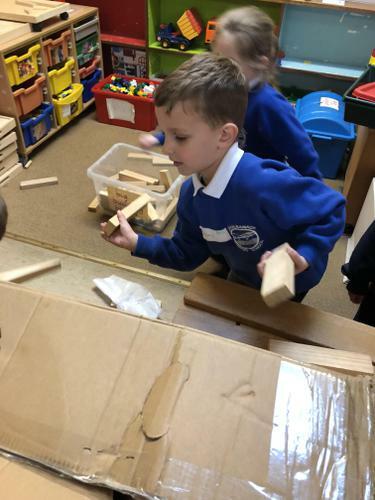 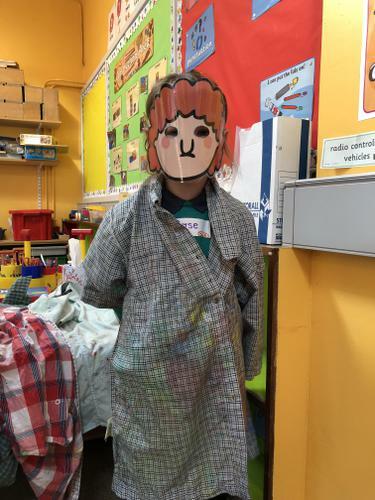 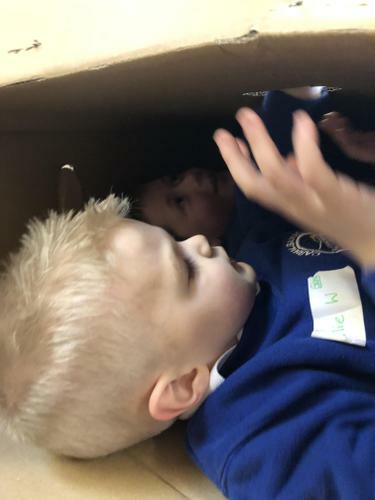 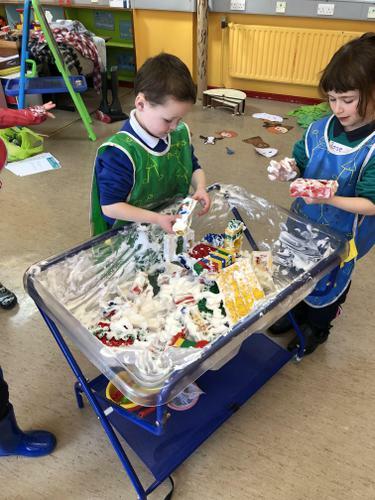 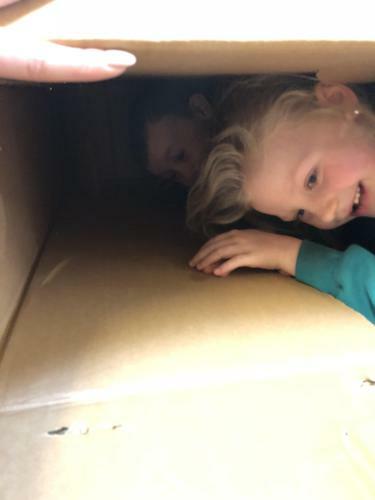 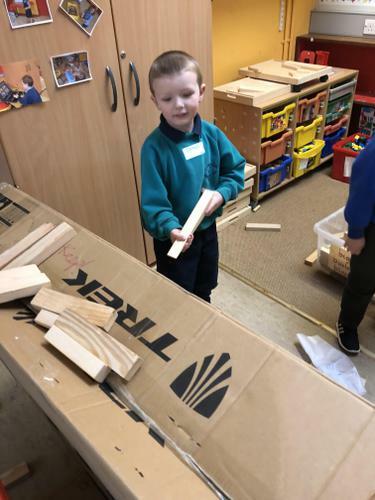 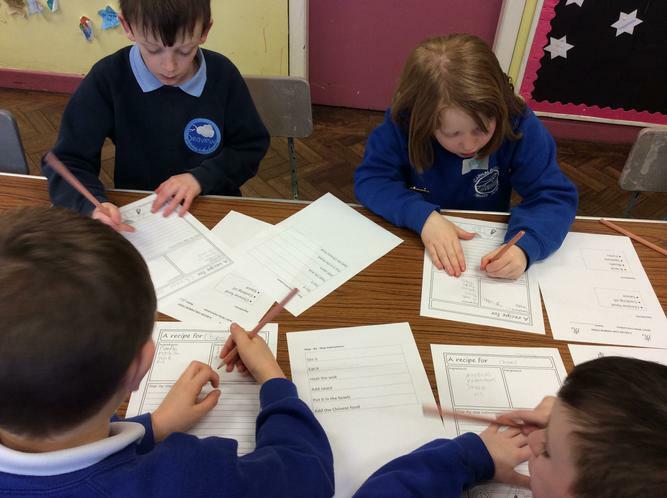 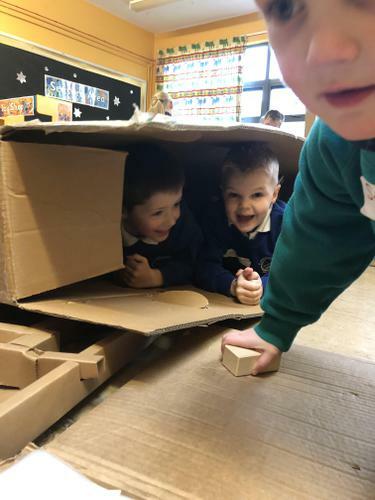 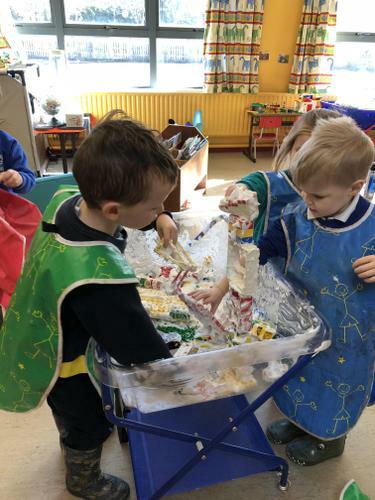 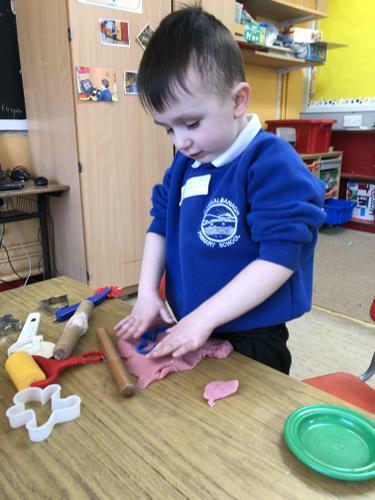 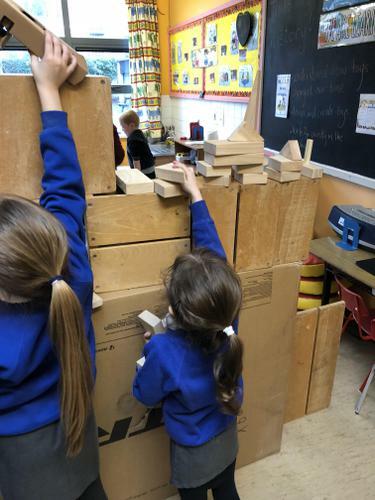 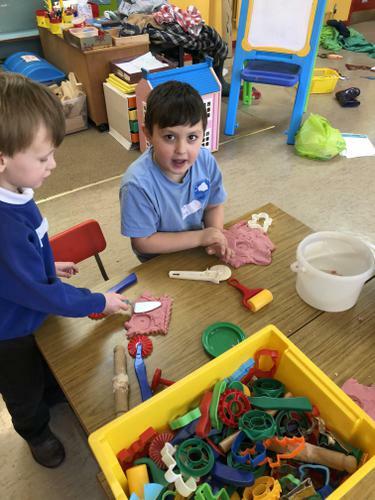 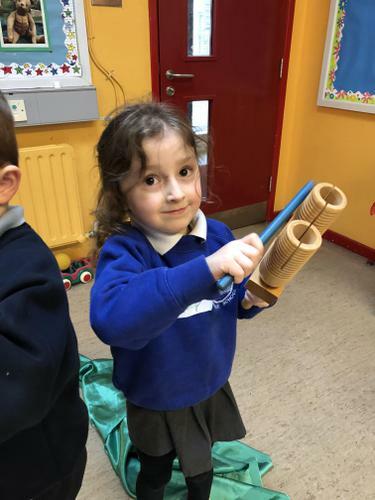 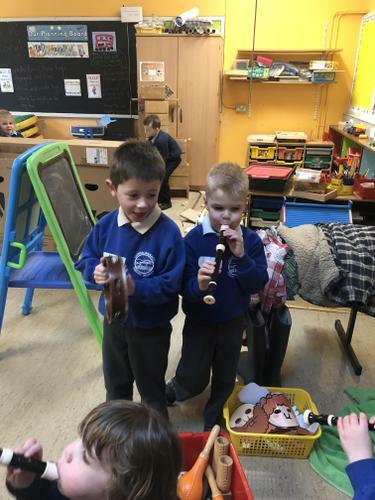 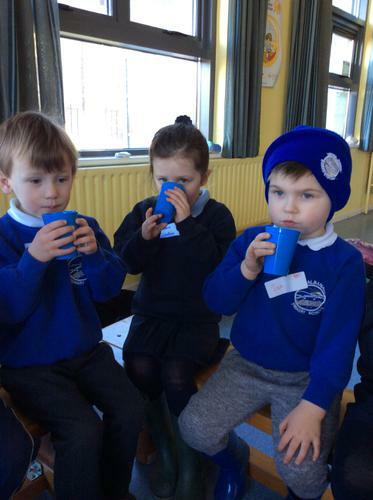 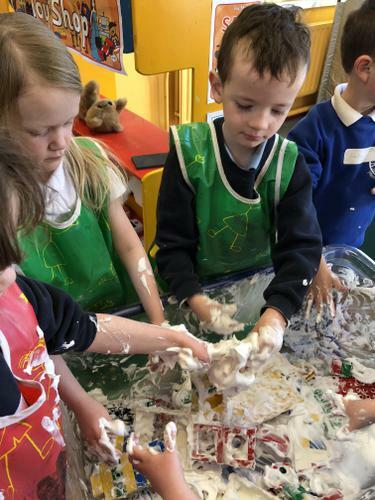 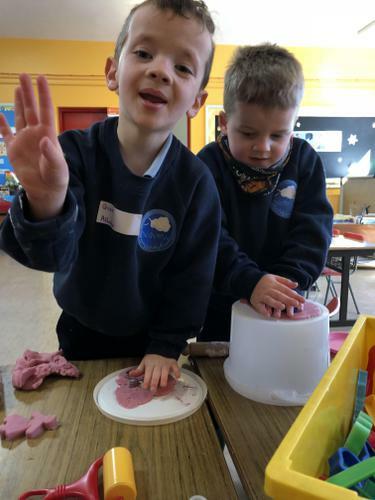 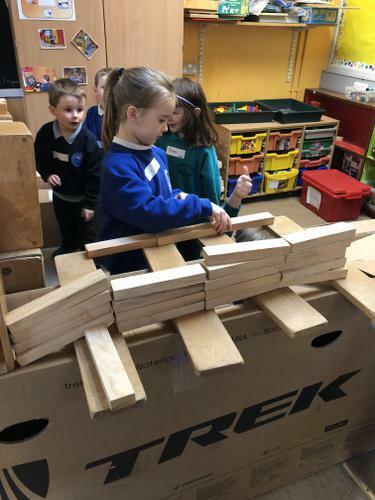 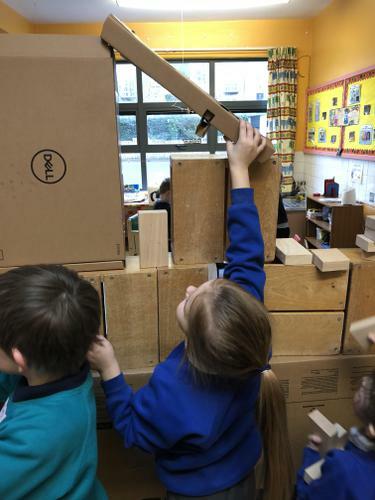 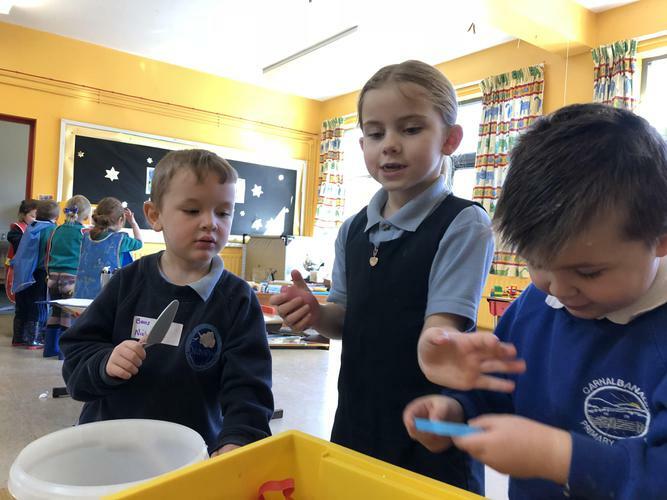 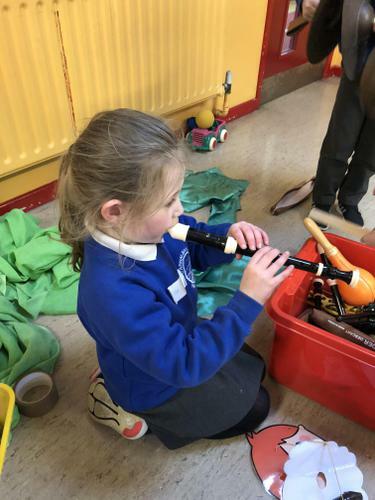 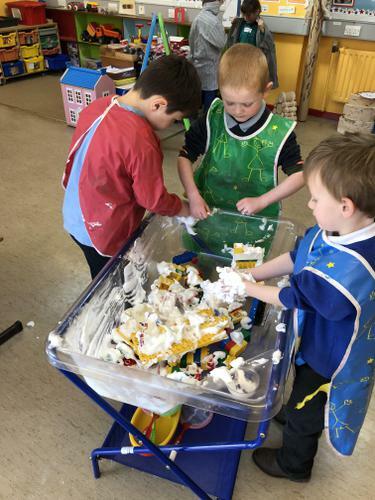 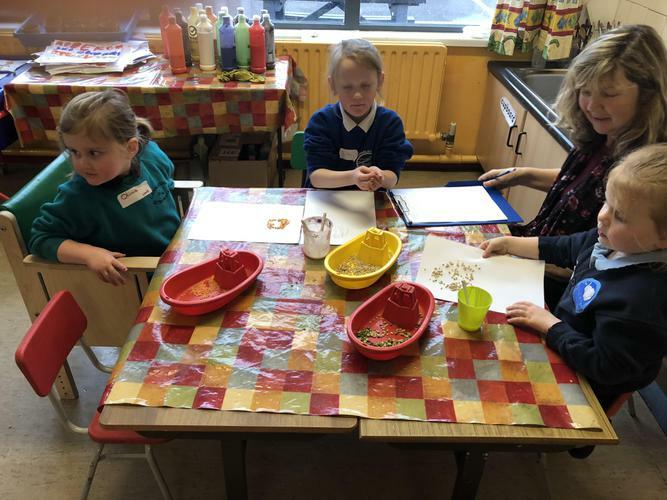 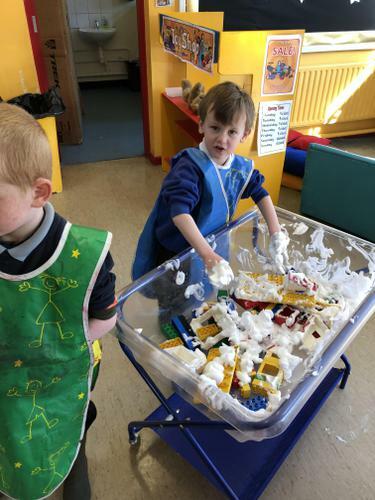 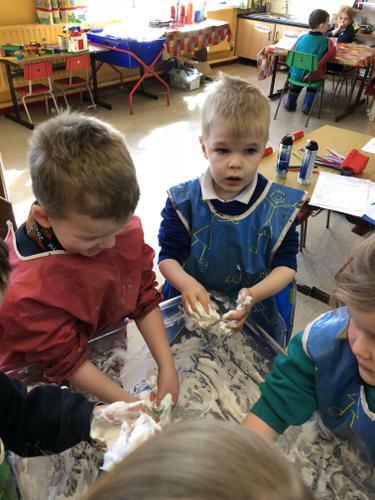 Primary 1 and 2 have really enjoyed their days down at Seaview Primary School. 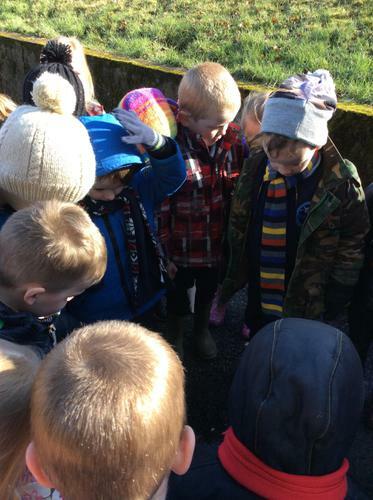 We met lots of new friends. 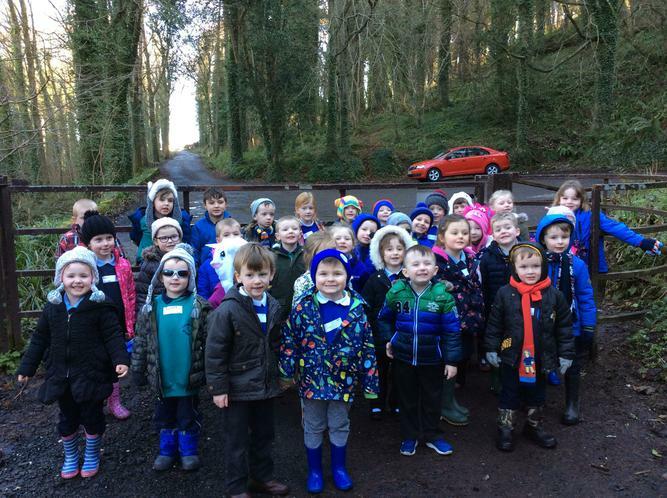 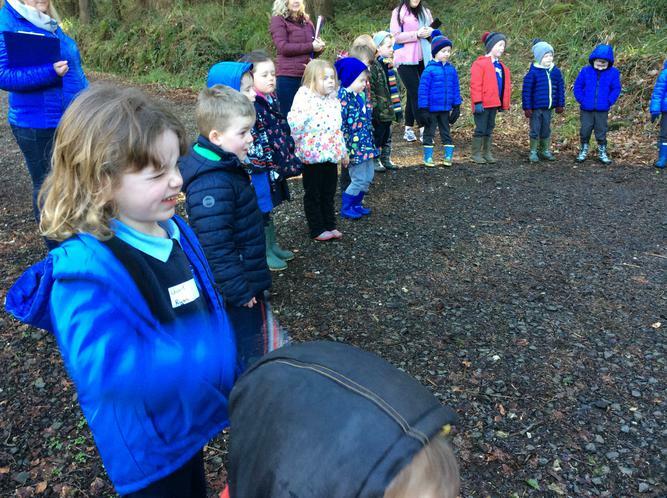 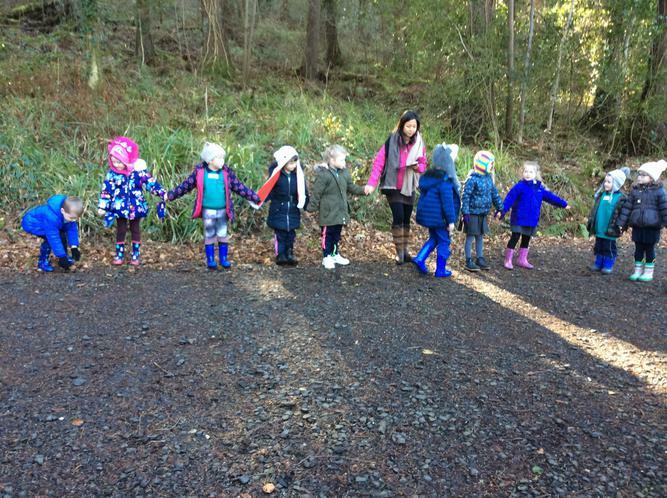 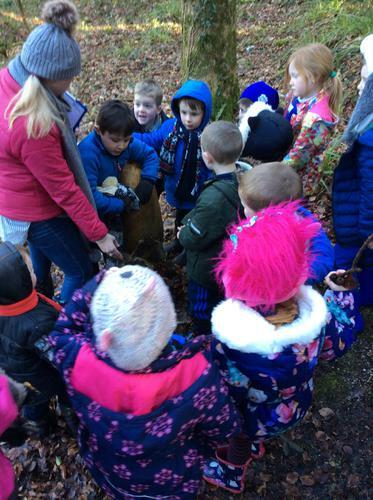 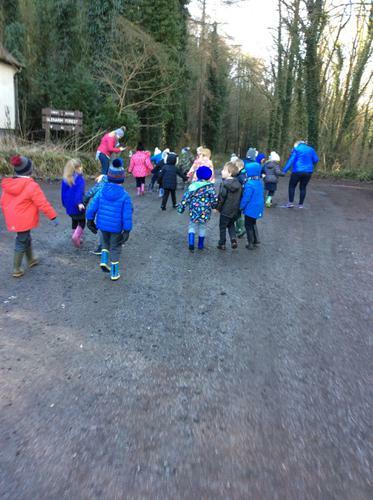 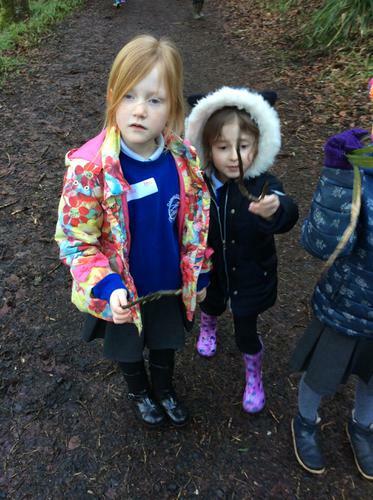 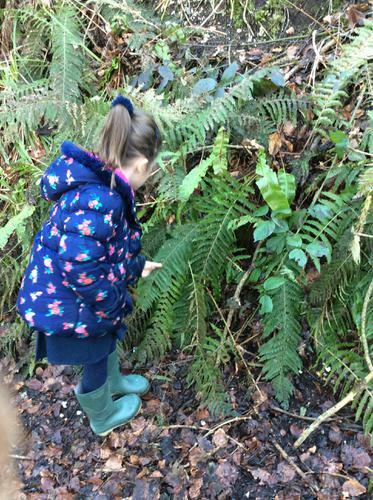 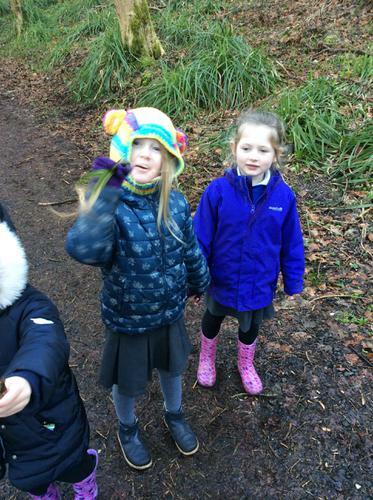 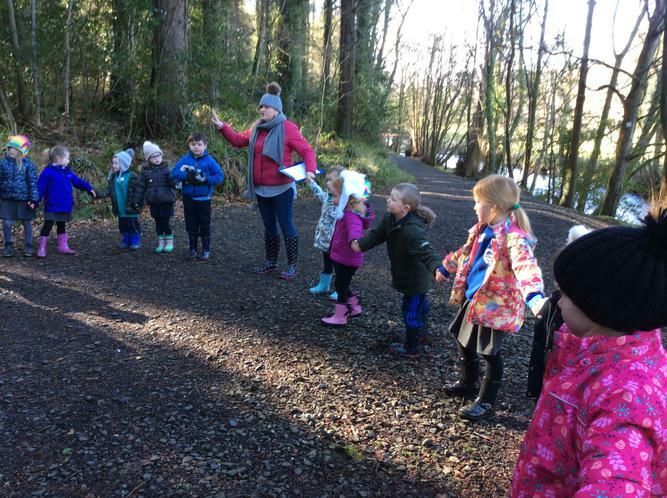 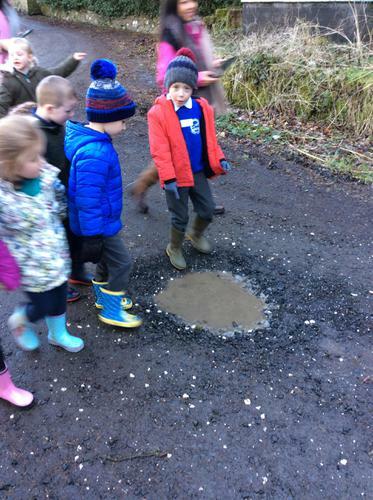 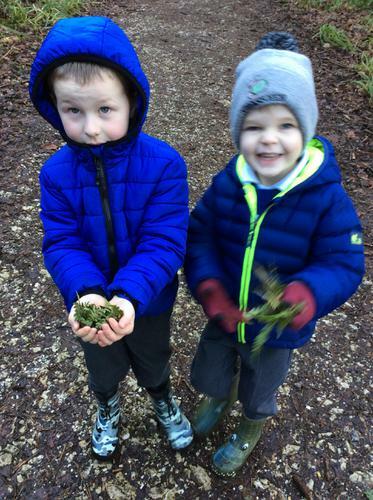 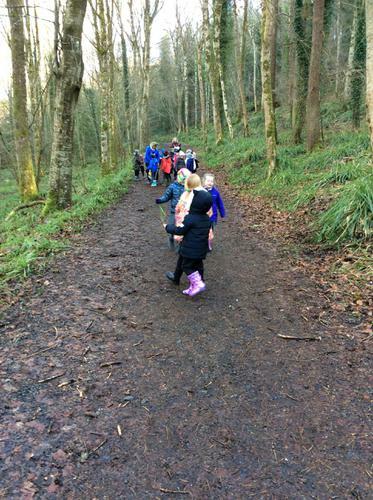 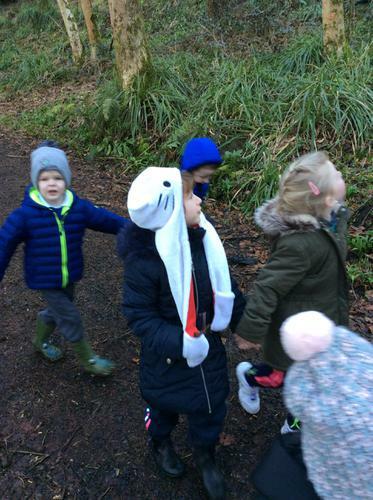 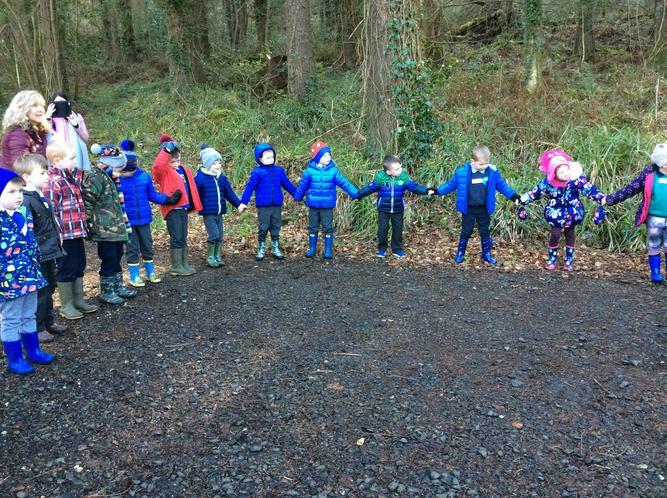 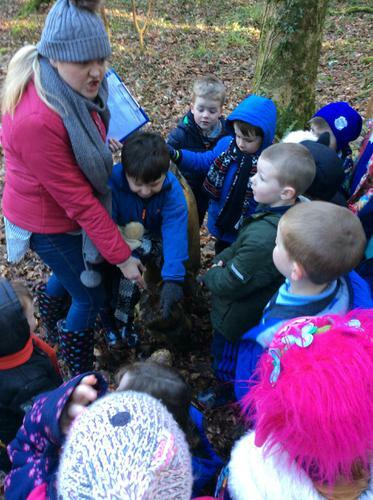 We read the story of Jack and the Beanstalk and visited Glenarm Forest to see if we could find him. 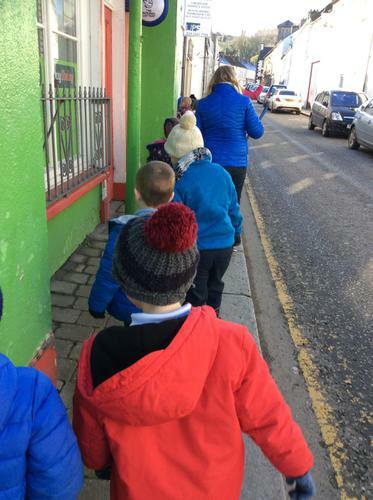 After a long morning of looking we returned to Seaview for some yummy hot chocolate and marshmallows. 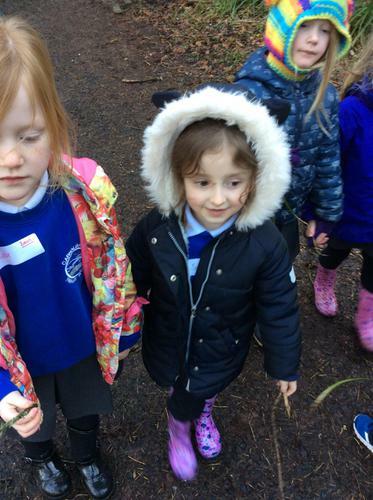 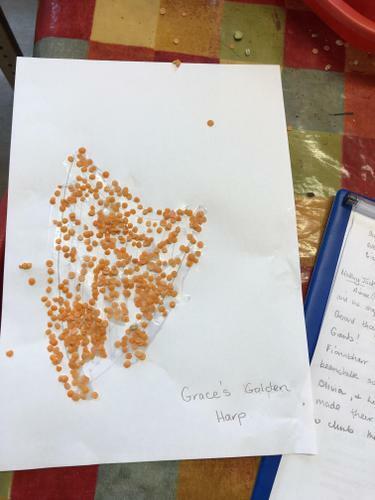 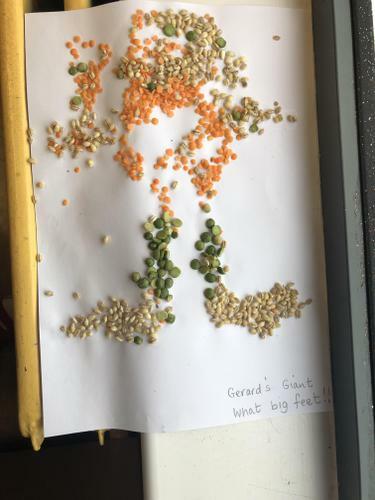 We have enjoyed lots of activities including measuring giant footsteps, building castles, playing on the I-Pads and planting seeds. 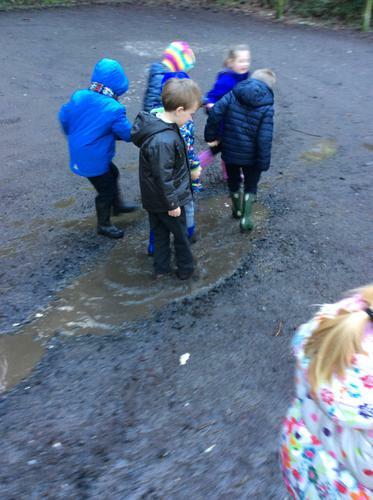 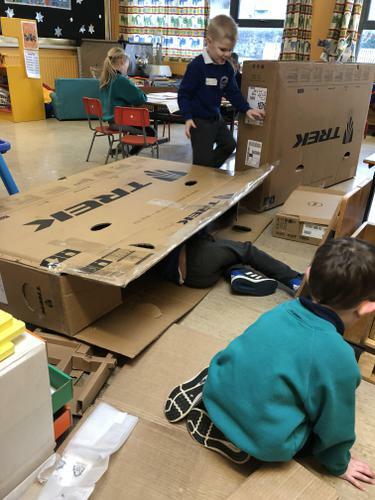 We really enjoy break and lunch time when we can play with our friends outside. 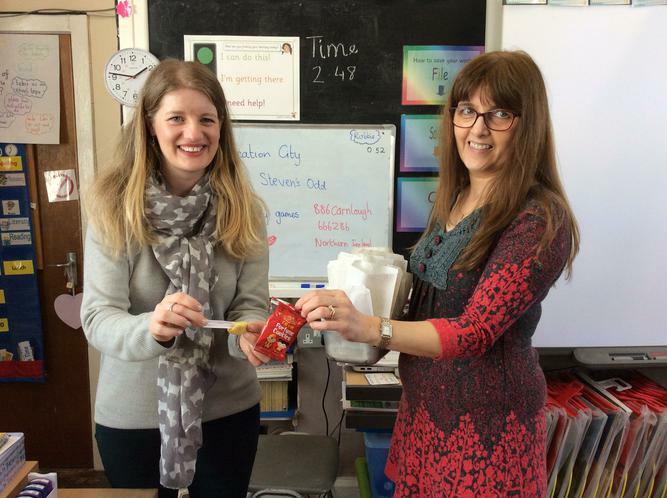 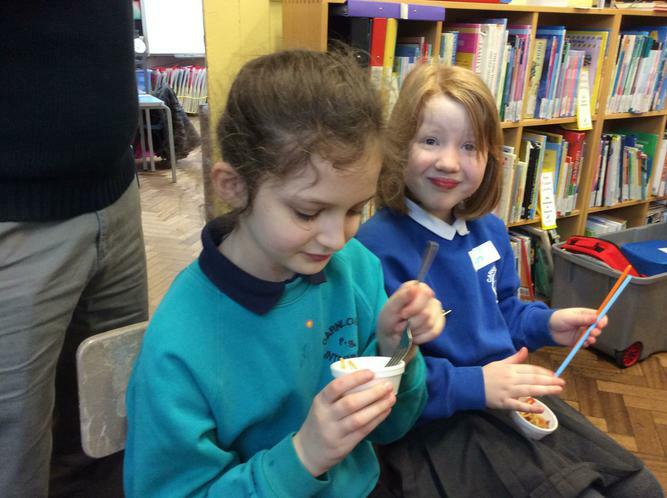 We can't wait for our next Shared Education meet up! 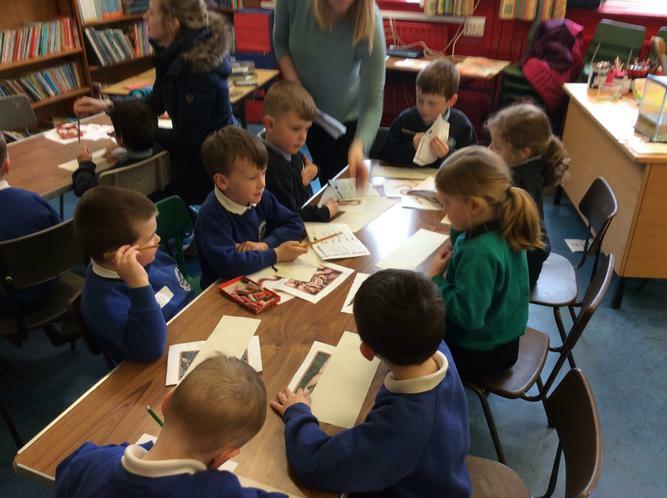 Primary 3 and 4 focused on the Chinese New Year as their theme. 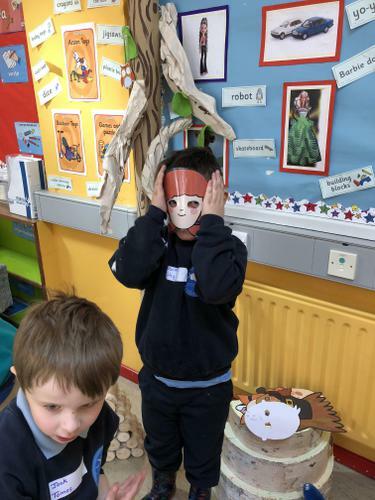 We learned that 2018 is the Year of the Dog. 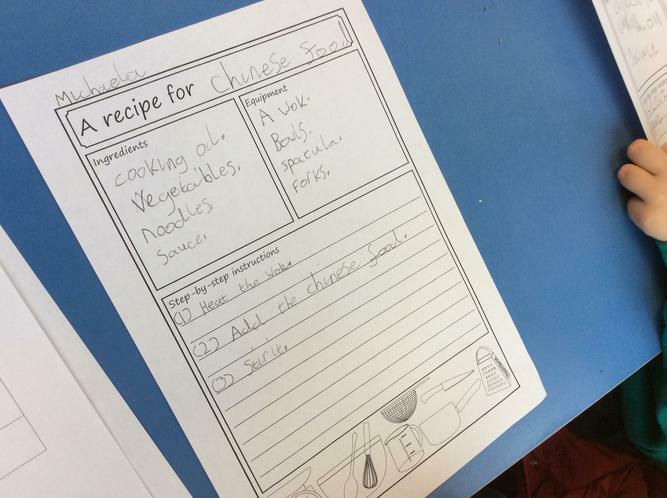 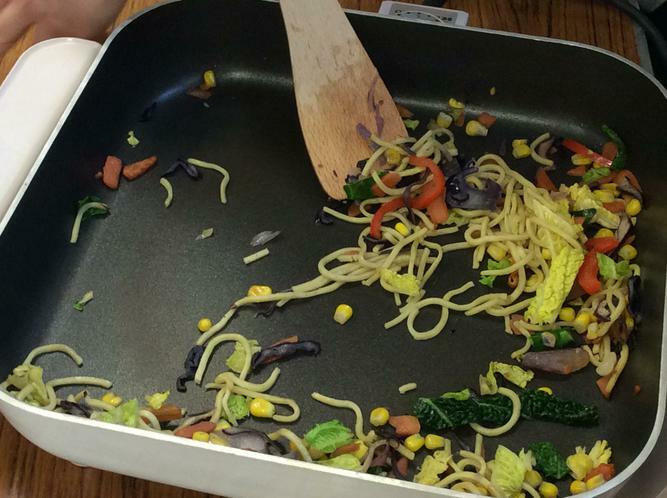 We tried some chinese food using chopsticks and wrote out the recipe. 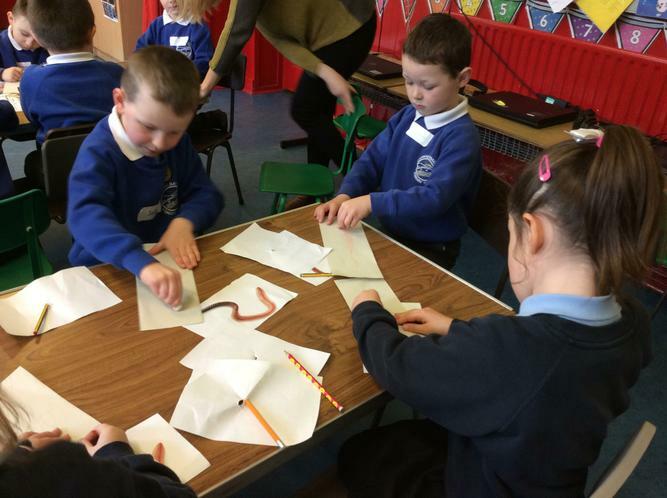 We also enjoyed some fortune cookies! 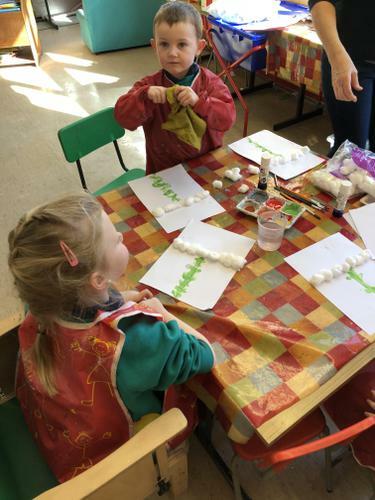 In groups we worked together to make a chinese dragon.